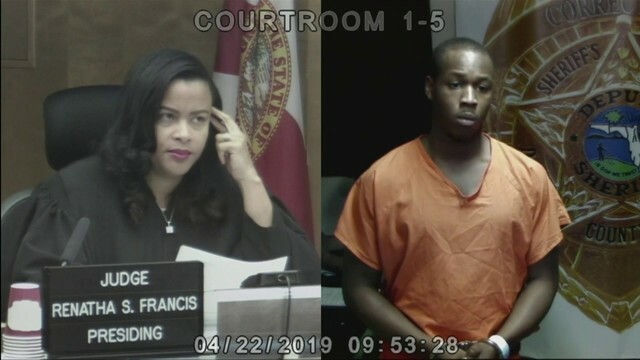 BROWARD COUNTY, Fla. - A man was taken into custody Wednesday morning in connection with a series of vehicle burglaries reported at several fire stations in Broward County. Broward Sheriff's Office spokeswoman Veda Coleman-Wright said two Fort Lauderdale fire stations and two county fire stations were targeted sometime between Saturday night and Sunday morning. She said 17 vehicles were burglarized inside the gated fire station at 3400 SW Fourth Ave. The unmarked vehicles belong to firefighters and law enforcement personnel, authorities said. Coleman-Wright said it's unclear whether Wednesday’s suspect was involved in all four burglaries. She said detectives are currently questioning him and he is cooperating with the investigation. "You have firefighters, deputies, law enforcement officers that are coming to work -- some of them on-duty -- when their cars are being burglarized, and these are individuals that are working to keep you and I safe," Coleman-Wright said. "And then to have their personal belongings stolen, to have a firearm stolen, I can tell you detectives are very concerned." Coleman-Wright said six firearms were stolen from outside two of the fire stations. Anyone with further information about the burglaries is asked to call Broward Crime Stoppers at 954-493-TIPS.